I just got home from my first ever (it won’t be the last!) 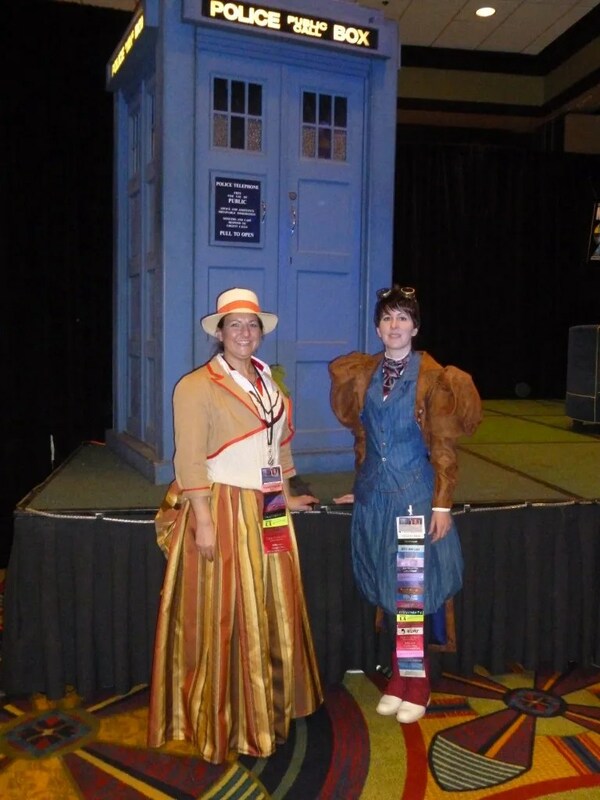 trip to Gallifrey One. It was a completely fabulous trip! 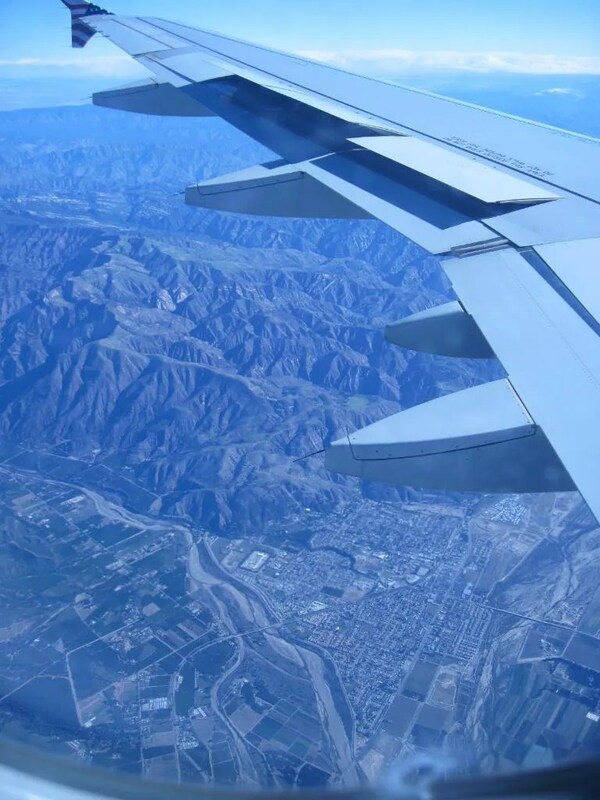 I flew into LAX on a Thurs morning – a very early Thurs morning. I had to get up at 1:20am in order to catch my shuttle! 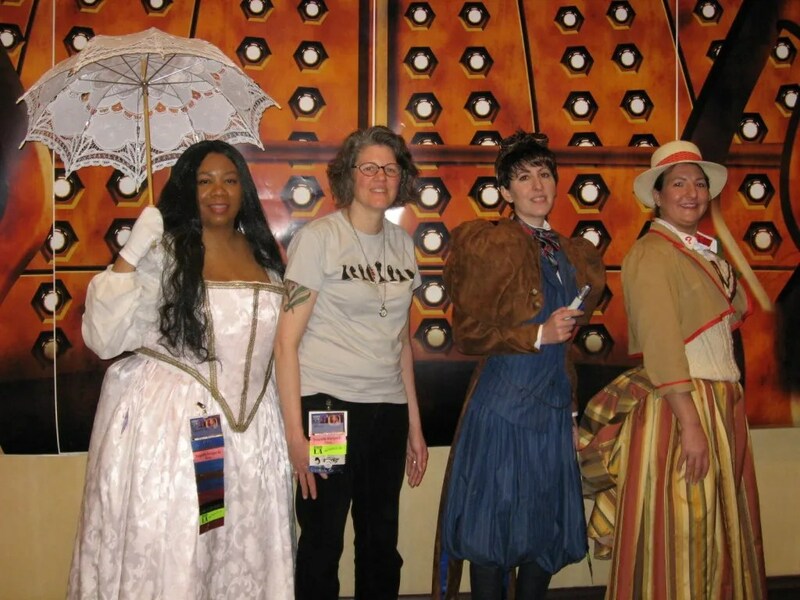 Once at the hotel, I met up with Wench Posse friends Glynnis, Suzette, and Nell. I hadn’t met any of them before, so it was great to finally meet face to face – and they are just as fun and amazing in person as they are online. They made excellent room-mates! 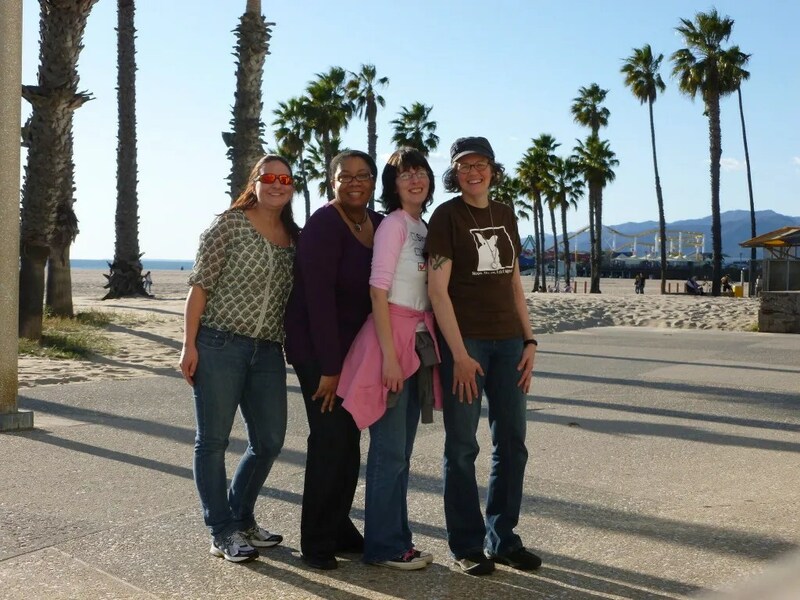 After settling into the hotel, we took a bus to the Santa Monica pier. It was lovely to see the beach and the sunshine! 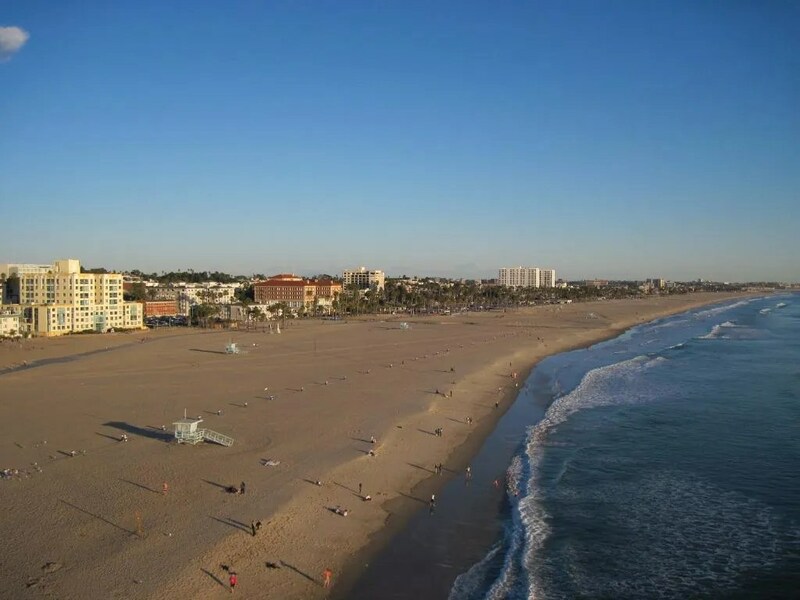 Above is the view from the Santa Monica pier’s Ferris Wheel. 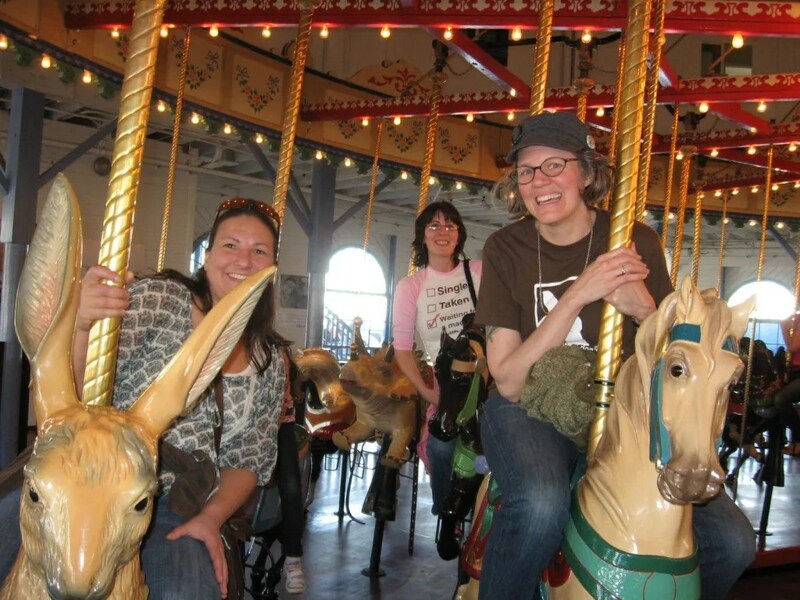 We also rode a carousel. Nell claimed the rabbit. Santa Monica is the end of the Route 66. 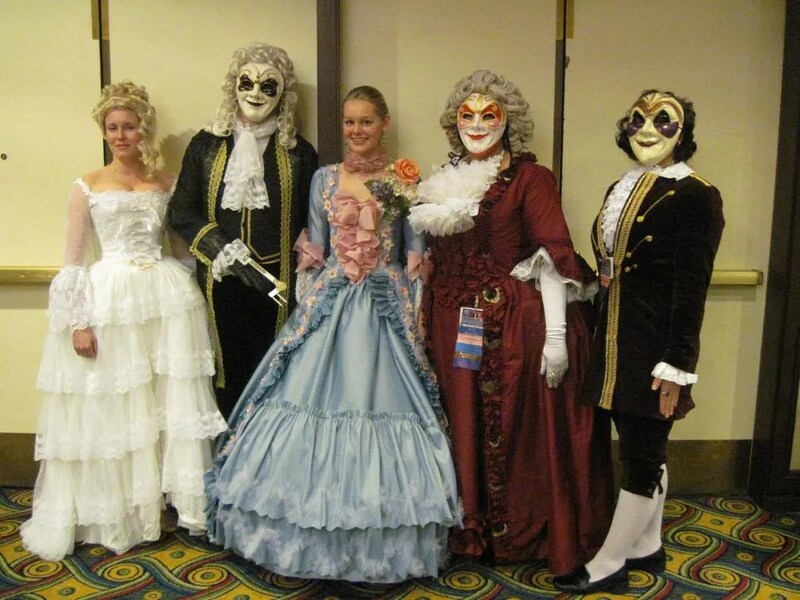 After filming the fake version in Revelation video I did the costumes for, it was kind of cool to be at the real thing! 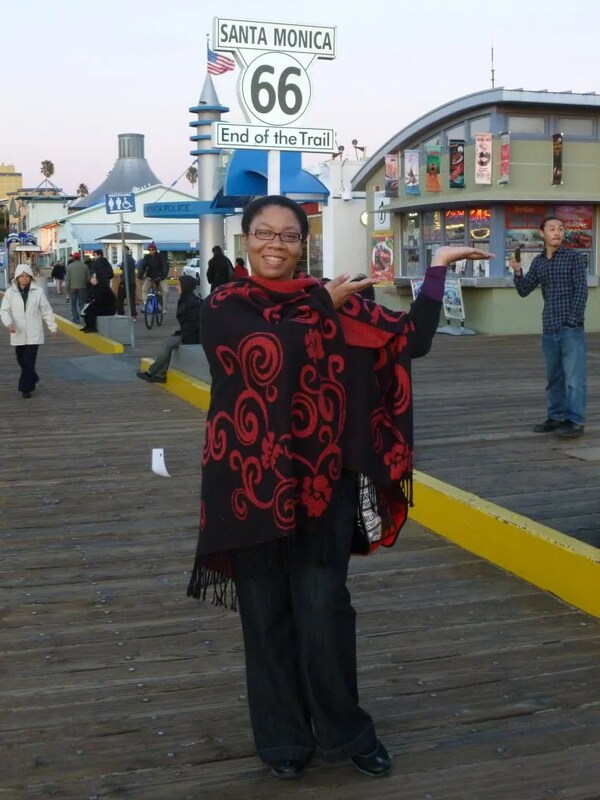 Friday, we skipped the morning/afternoon events at Gallifrey and went to LA’s fashion district instead. We are all costumers, after all! Unbelievable. 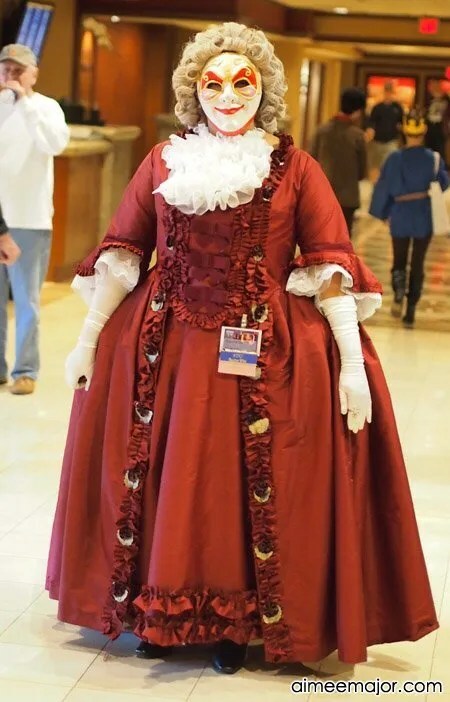 Simply unbelievable amounts of fabric and trim! Good thing I saved room in my luggage, because I filled one of my suitcases mostly with stuff I bought. 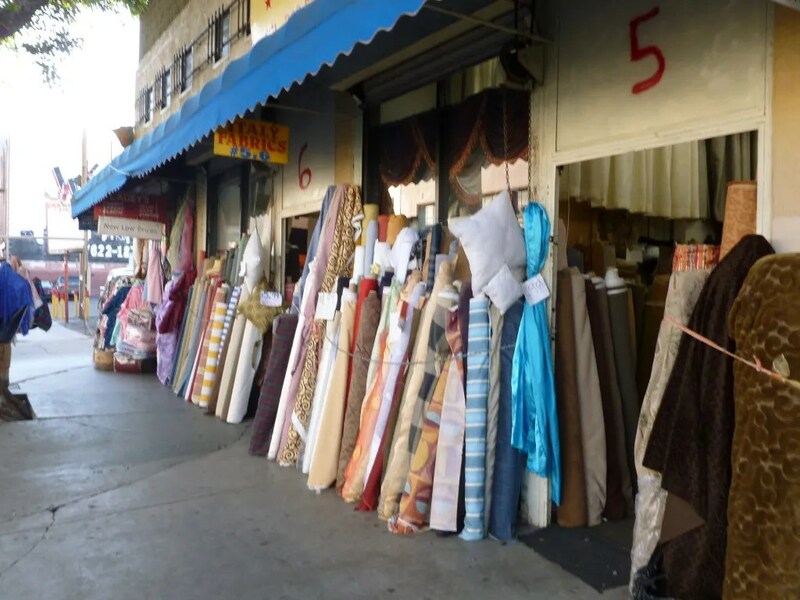 Fabric…fabric…everywhere! I’m thinking next time I go, I’m spending a lot more time here. 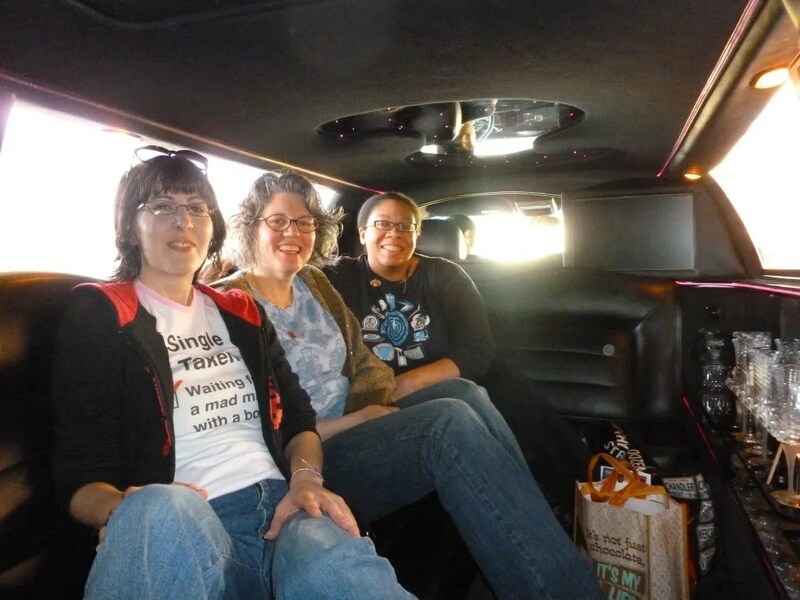 To get to the district, we had the hotel call us a cab…but our ‘cab’ turned out to be a limo! 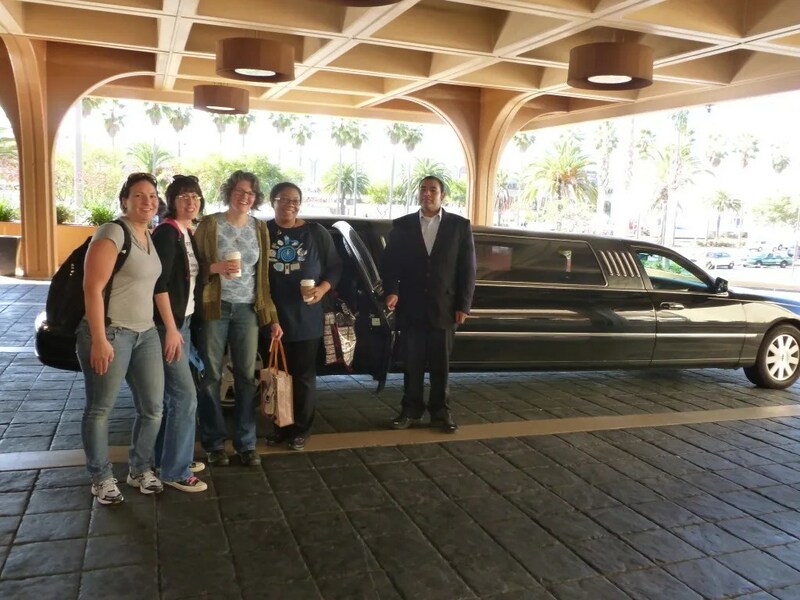 Hurrah for awesome concierges! In the photograph it doesn’t look like much, but it has the most lovely embroidery around the neck. I completely adored it. Also on exhibit was pieces of famous movie costumes – Fred Astaire’s tap shoes was one especially cool item. There was a small room of extant historical gowns as well. They have one of Queen Victoria’s mourning dresses, and wow. I knew she was short, but I was not at all prepared for how short! Teeny-tiny! 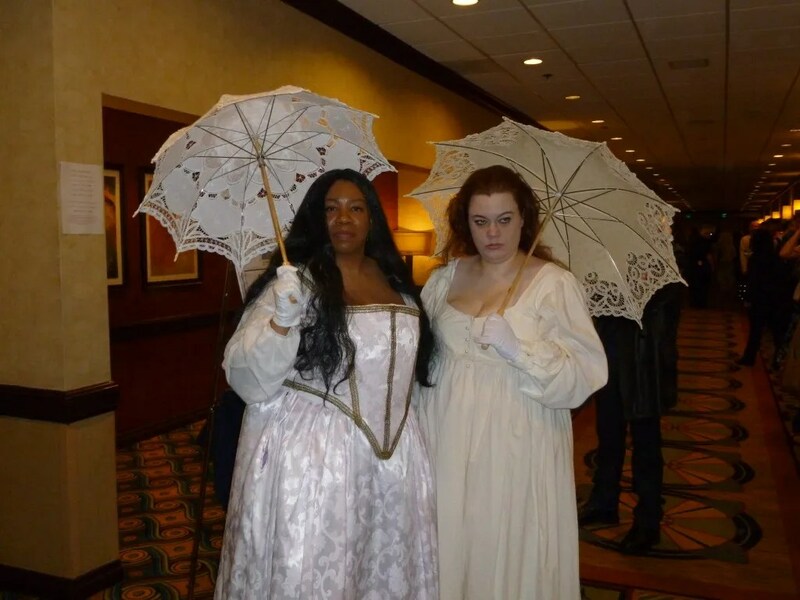 The panels I went to were fabulous. Mainly, I went to anything with the actors I liked in them, so there were lots of Mark Sheppard ones! 😉 Daphne Ashbrook (Eight’s companion performed “I Don’t Need No Doctor” with backups by Eight (Paul McGann) and the film’s director! One thing that was very cool about these celebrity panels, was how much they were enjoyed by the celebrities themselves. 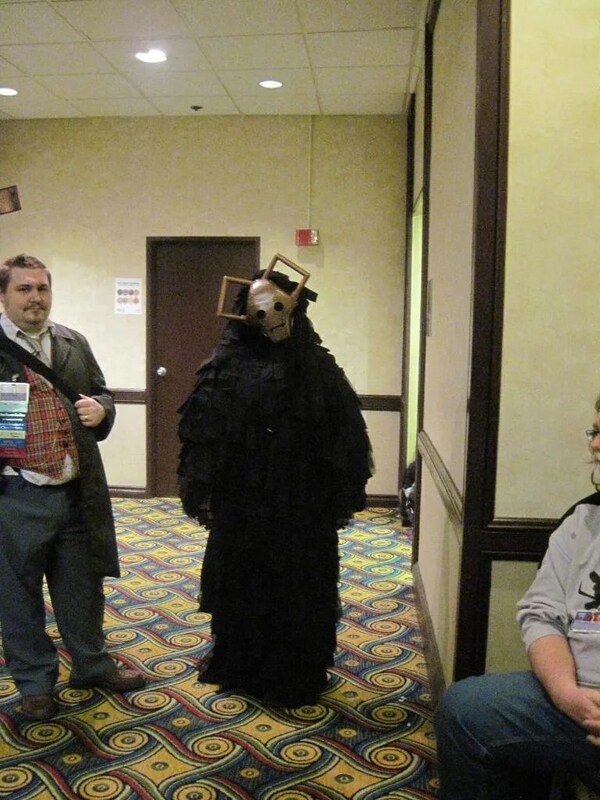 All of them had grown up fans of Doctor Who, and most had been dying for a chance to act on the show. When the call finally came, they didn’t even care what the part was! 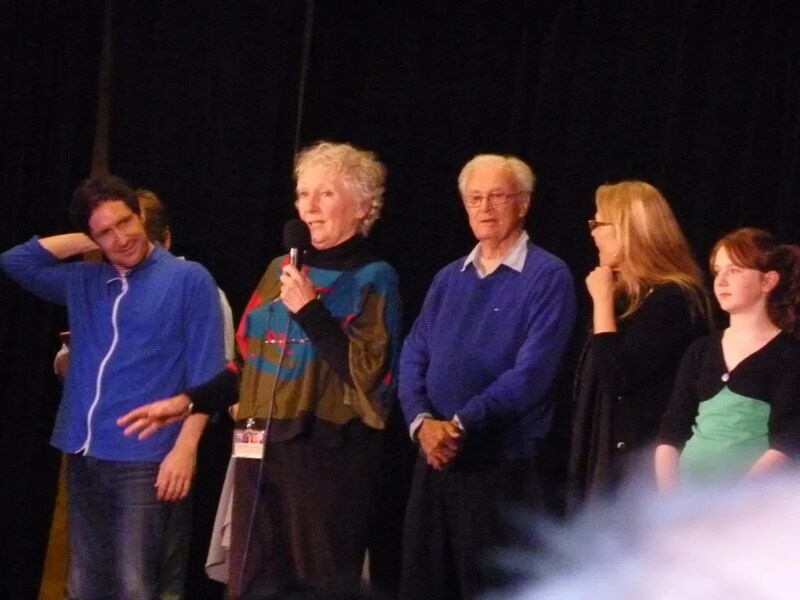 The genuine love they all have for Doctor Who just shone out from them, and that was truly amazing. It wasn’t just actors doing their jobs, it was us and them, united equally as fans. I’ve never experienced that before, and it was awesome. My favorite guest was, of course, Mark Sheppard, because I have loved every single role of his I’ve seen. His dad, W. Morgan Sheppard is also wonderful, and the interaction between the two of them was heartwarming and quite funny at times. They obviously have a terrific relationship. 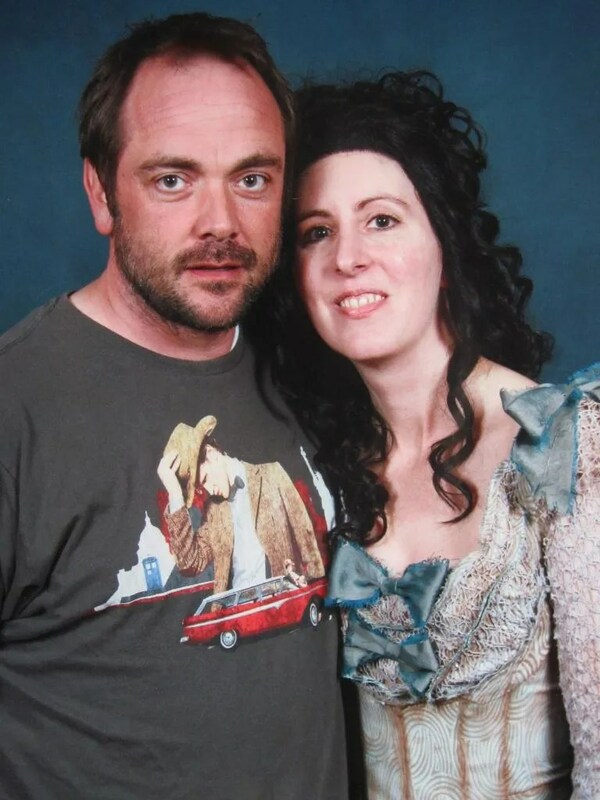 I had my picture taken with Mark Sheppard and Camille Coduri (Jackie Tyler). 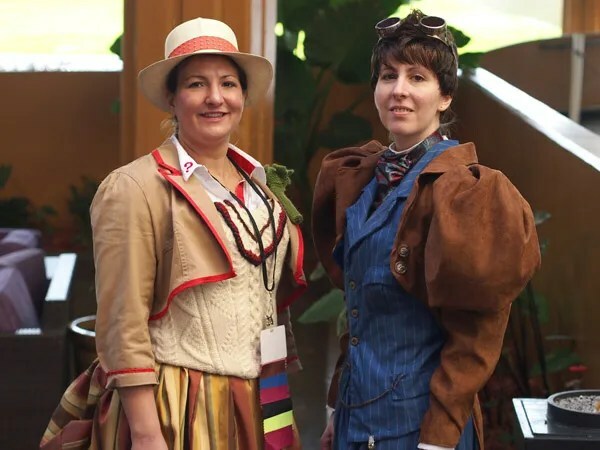 Sunday, I wore my steampunk Tenth Doctor costume, Nell wore her female Fifth Doctor, and Glynnis wore her Vampires of Venice outfit. 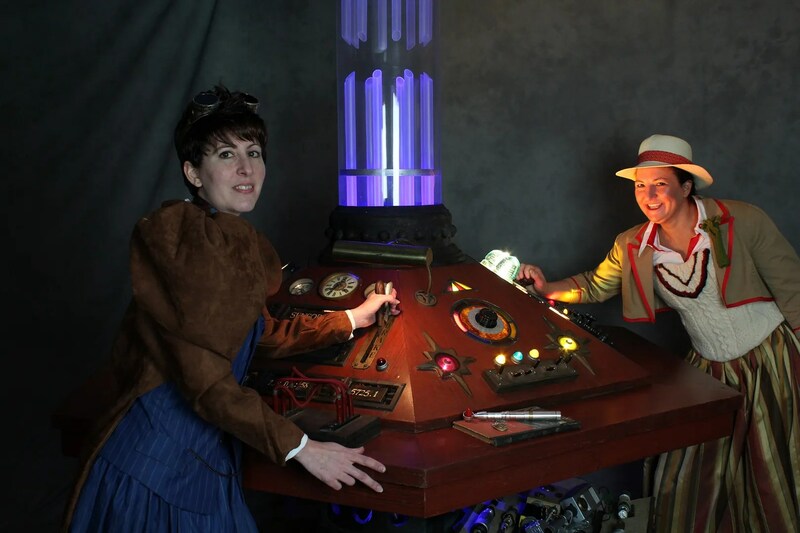 Nell and I had our picture taken together at the actual Eighth Doctor TARDIS console. 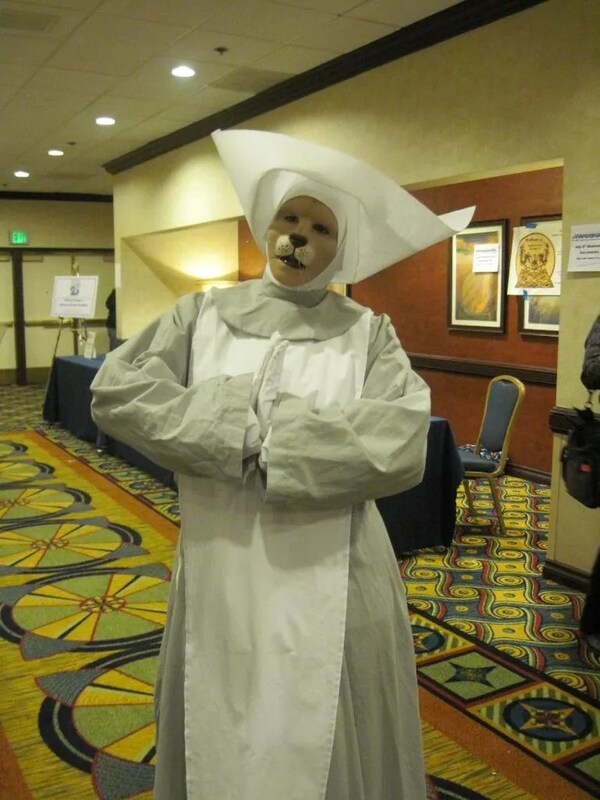 One of my very favorite costume I saw there was this Flesh outfit. 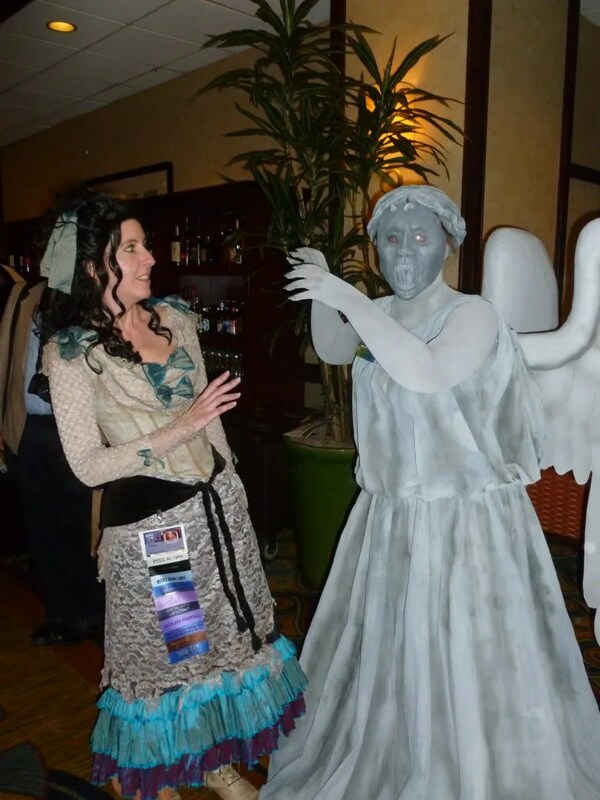 She was spot-on perfect – the makeup was film quality! 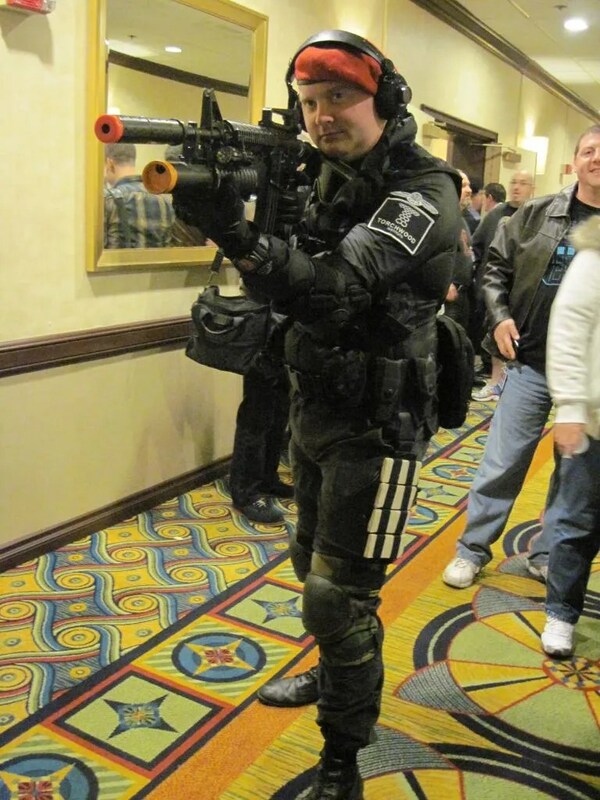 The other favorite was the Cassandra team. There were two ‘moisturizers’, and when one of them saw me in the crowd of photo-takers, he called me over to get a pic with them – he especially wanted me to help moisturize! That was fun. Amber Benson (Tara on Buffy) was there signing copies of her new book, so I got one and chatted with her for a bit. She’s super nice, funny, and very down to earth. And gorgeous! So very gorgeous, even when she’s just in normal clothes and makeup! 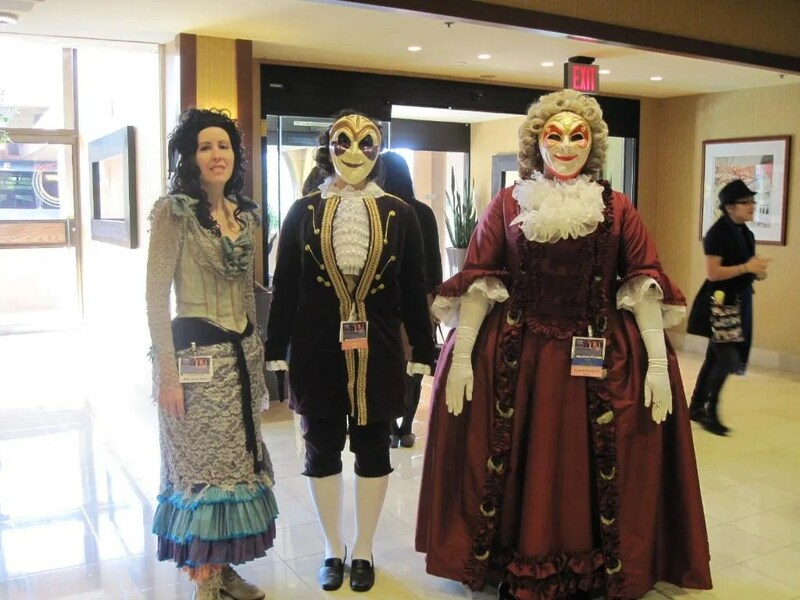 Altogether, it was the best con I’ve ever been to, and I really, really want to go back. 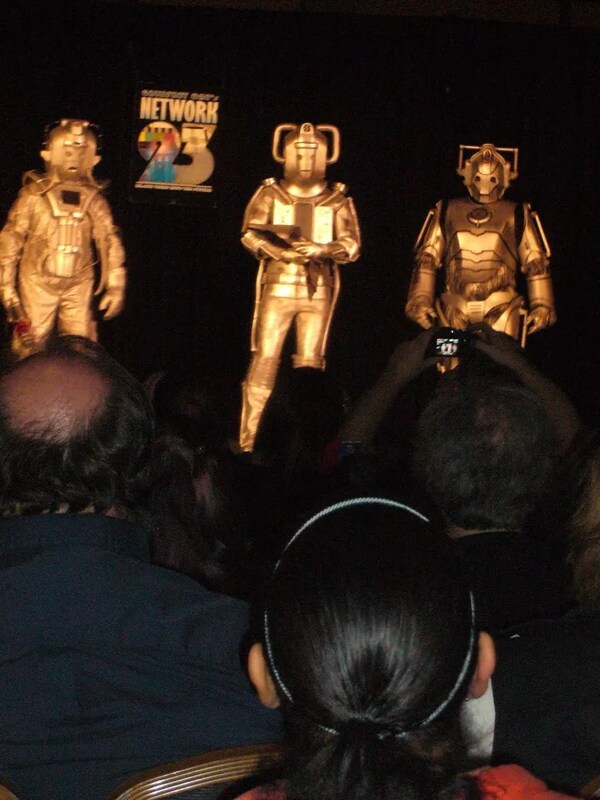 Next year is the big 50th anniversary, and they are promising MAJOR guests from recent years of the show. 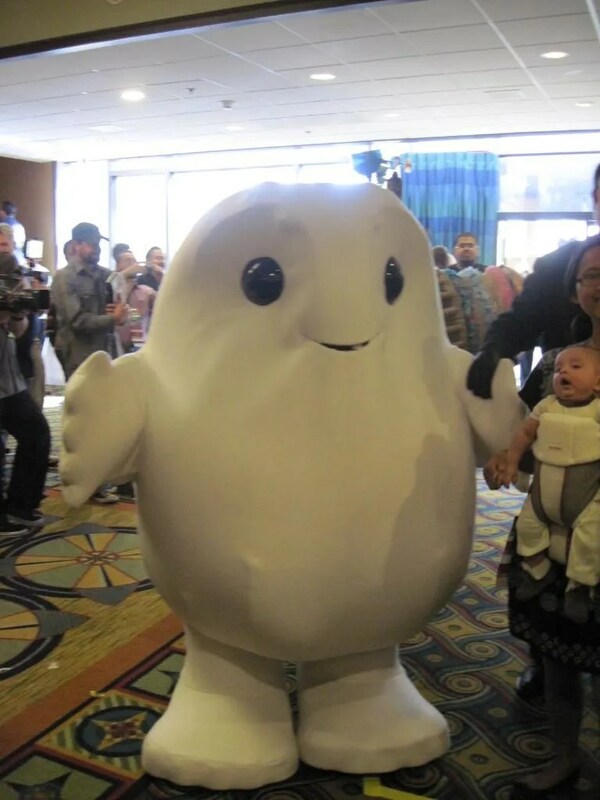 Dare I hope for Tennant? 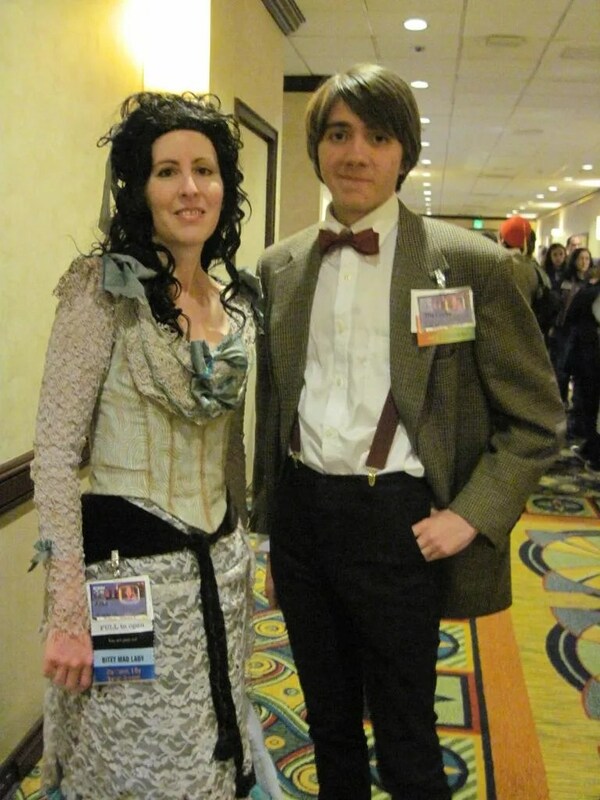 I’d be happy with Alex Kingston! 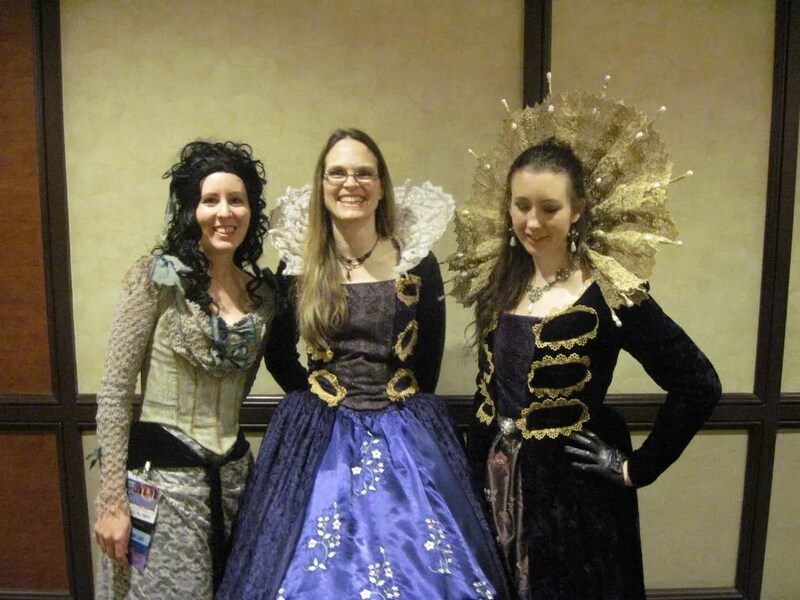 The Wench Posse: too much RAWK for one hand! 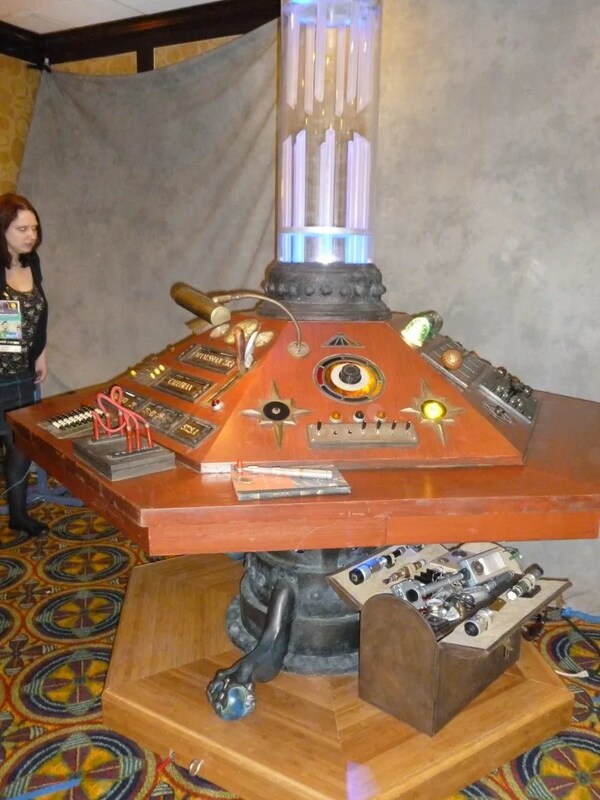 Next blog: after Gallifrey was over, I spent a day at Universal Studios. 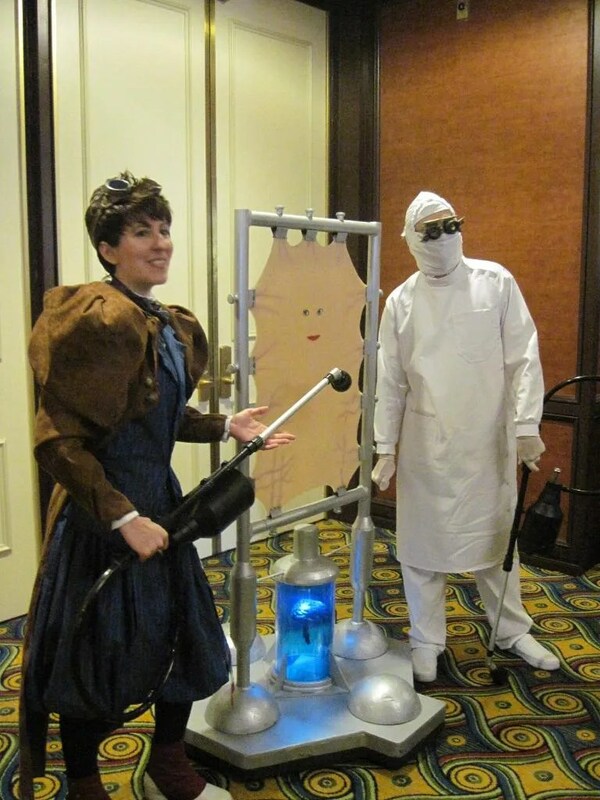 This entry was posted in costume, films, Life, Television and tagged 2012, costuming, doctor who, gallifrey one, mark sheppard, paul mcgann. Bookmark the permalink. OMG, that is amazing! Next year is the 50th anniversary? 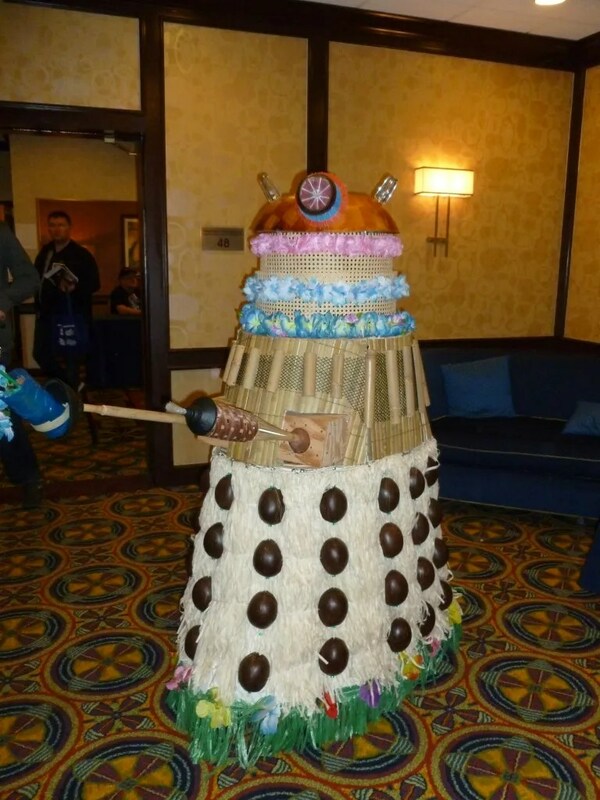 I think I may have to join everyone next year! Yay, Arte! You should – I think it’s going to be an especially fabulous year! 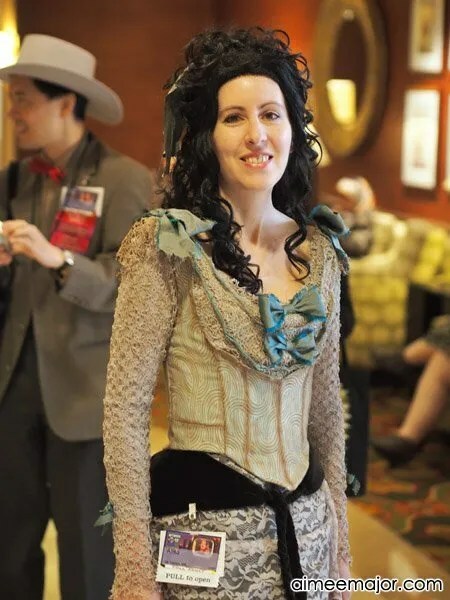 This was really fun to read, for someone like me who’s never been to a con of any kind. What are ribbons, though? Thanks, Moa! You’re given a badge with your name on it when you go to a con, and then you collect ribbons to attach to it. Some people just give ribbons our randomly, and some you have to earn. 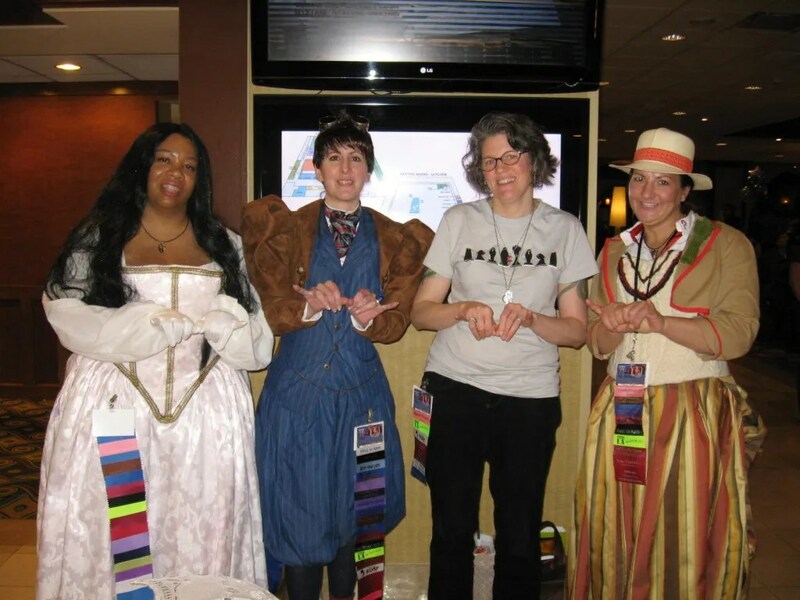 Folks that are *really* into collecting the ribbons get over a hundred by the end of the con! 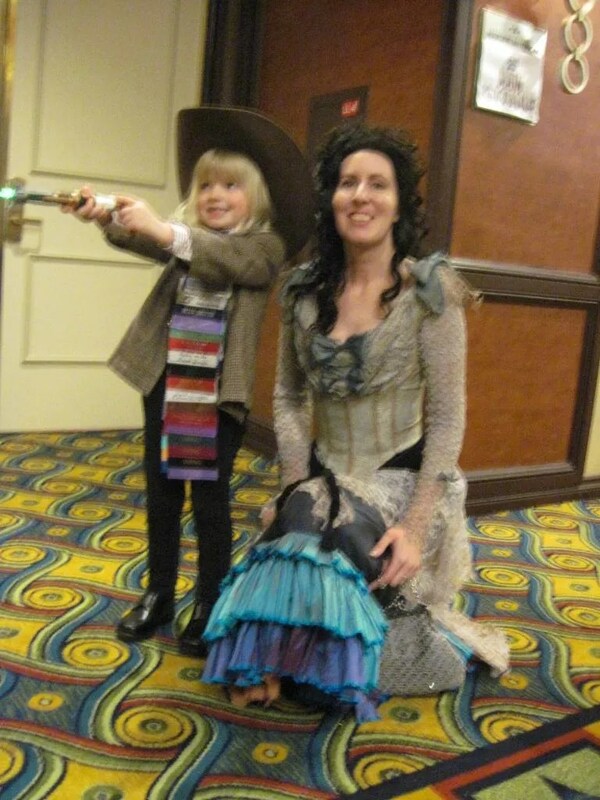 FANTASTIC Idris costume–really one of, if not the best at Gally! Thanks! 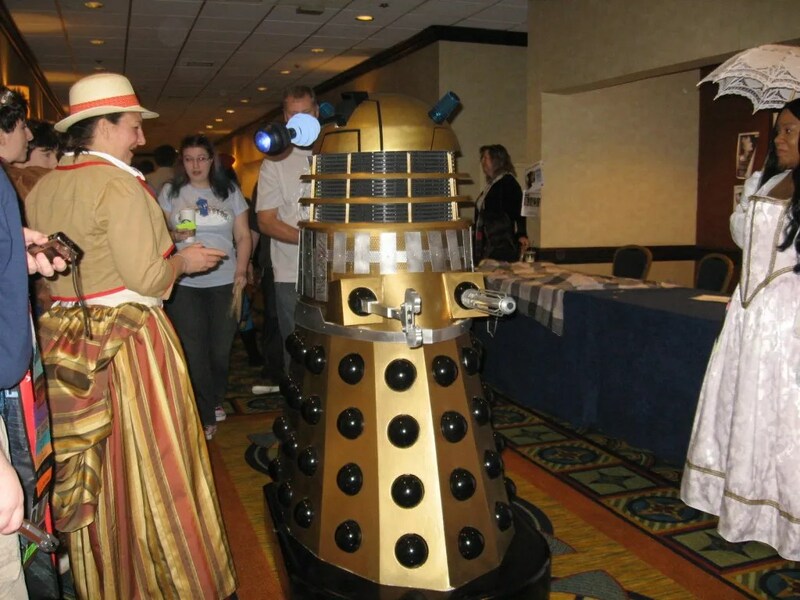 I had so much fun at Gally! 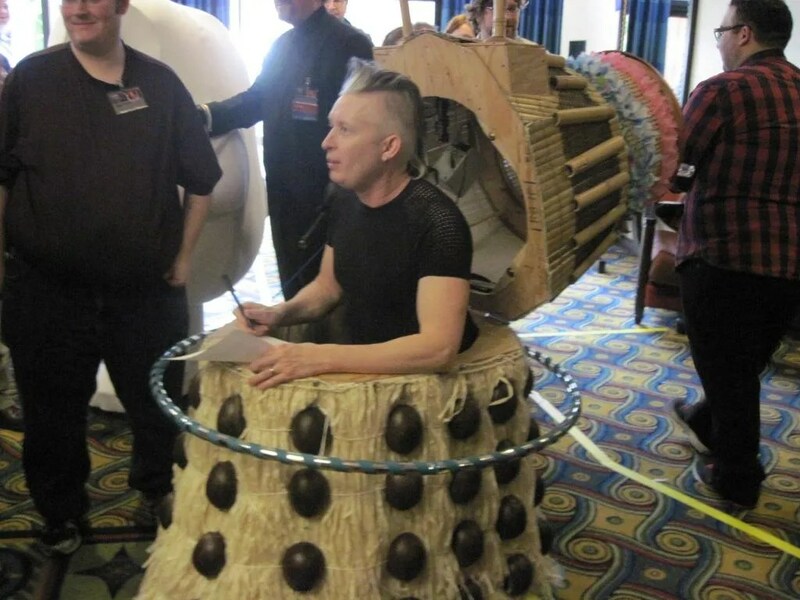 Pingback: Malvena Pearl’s Emporium » Blog Archive » What is Gallifrey? 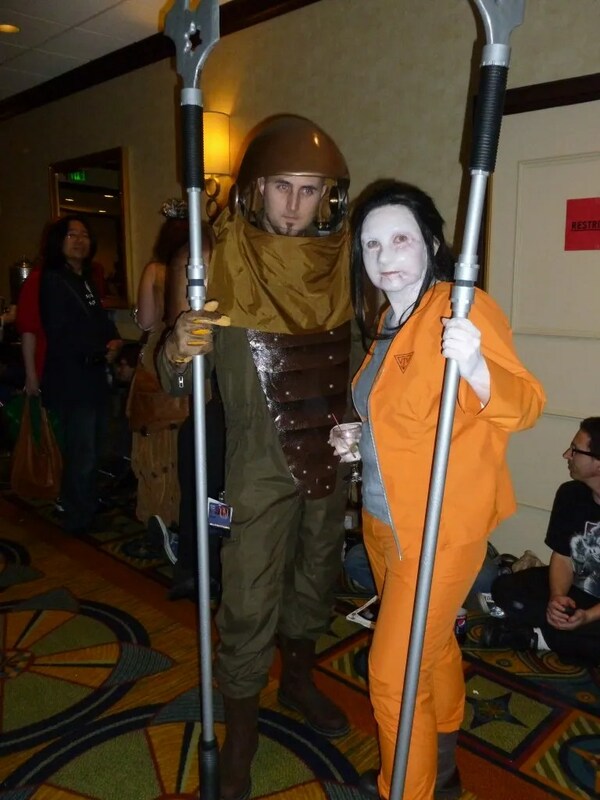 GAH, I CAN’T WAIT FOR COSTUME CON NOW!!!!!!! We are all going to have a Very Large Time. And Laura will be healthy and pain-free by then! (Or I’m going to knock her up with so many pain meds, she won’t be able to tell the difference, potato/potahhhto.). It’s going to be EPIC!!!!!!!!!!!!! !